It was on a cold February morning in 2010 that I first knocked on the door of Martha Steedman’s beautiful Fife home. A tall, impeccably dressed woman opened the door and ushered me in. It felt like we’d known each other for years. I was there because I had an idea that I’d like to write a book on Sikkim, a tiny Indian state perched between Bhutan and Nepal that had once been a Himalayan Kingdom. A year earlier, I had retraced a journey that my grandfather had made in 1922, walking 120 miles into a hilltop Buddhist monastery in the heart of Sikkim. On returning to Scotland I had discovered that Martha had been headmistress of a missionary school in Sikkim from 1959-65. A friend of my parents suggested I contact her. Over the next four years, Martha became the single most important person in helping me get under the skin of Sikkim’s story. It turned out that she had been very close to the king, Thondup, and his American wife, Hope Cooke. Her weekly letters home to her parents provided a superb insight into life in Sikkim during a fascinating period. She also made her extensive library of books available to me which helped me begin to understand Sikkim’s complex past. Above all else Martha became a friend. She and her husband Robert had a knack of providing support and encouragement while gently reminding me that I couldn’t research the topic for ever, and that life needed to move on. In 2014, Martha was diagnosed with cancer. If I have one regret, it is that Martha will not be able to see the launch of Sikkim: Requiem for a Himalayan Kingdom in May 2015. On the day she died, I managed to see her in hospital. I carried a card, and a gift of tea, from friends in Sikkim to whom she had introduced me. Her eyes lit up as we talked once more about the land to which, despite it not being our own, we both felt a strong connection. A week later I contacted The Times to offer to carry an obituary of her remarkable life. They agreed. The result is below. One word that I included in my original submission (but never made it into the final edited version) was “fearless”. It’s a word that sums up an extraordinary woman, who will be sorely missed by many people. As headmistress of girls’ schools in both the Himalayas and Scotland, Martha Steedman taught thousands of her pupils to “go out in the world and give anything a try”. Her life was shaped by a promise made to her grandfather, Baron Maclay, shortly before he died in 1951. Maclay had lost two sons during the First World War (in which he had served as David Lloyd George’s shipping minister). In 1918 he received a posthumous letter from the eldest, Eben, saying he wanted to serve as a medical missionary in India. His granddaughter offered to do mission work in her uncle’s memory, which resulted in six years as the only European woman living in the tiny Himalayan kingdom of Sikkim. Born Martha Hamilton in 1929, she was the daughter of Reverend JE Hamilton, a staunchly socialist Presbyterian minister from Northern Ireland, and Lilias Maclay, a doctor who came to share her husband’s political views. Her father’s temporary ejection from the church — after he stood at the 1929 general election as a Labour candidate — resulted in seven idyllic early years in Duchal, the Maclay family house near Kilmacolm. In 1937 the family moved into a large residence in the Merchiston area of Edinburgh. The house soon became a centre of left-wing political discourse. Clement Attlee and Hugh Dalton passed through its doors; visitors from farther afield included the Kenyan leader Jomo Kenyatta and Tanzania’s future president Julius Nyerere. She and her sister’s pet rabbits were even named after two German political activists, Ernst Toller and Rudolf Olden. Ivan Maisky, the Soviet envoy, visited on more than one occasion, as did the future chancellor Stafford Cripps, who she later remembered as “a lettuce-eater — very awkward at that time”. Her spirit was irrepressible. After being head girl at Roedean and gaining a first in medieval history from the University of St Andrews, she set off on a hitchhiking trip around Europe, which she coolly said was “really no danger as long as one keeps one’s wits”. On her return she took a diploma of education from Hughes Hall, Cambridge. To fulfil her commitment to her grandfather, she contacted the Church of Scotland, offering to teach in one of its mission schools. In 1956 she began her posting in the Indian hill station of Kalimpong. She fell in love with the mountains and people of North Bengal, Darjeeling, and the neighbouring kingdom of Sikkim, perched between Nepal, Bhutan and Tibet in the Himalayas. When the post of headmistress at the Paljor Namgyal Girls’ School in Sikkim’s capital fell vacant, six of her happiest years followed. Life in Sikkim was not always simple (telephone lines were few) but her can-do attitude transformed the school. She became close friends with Thondup, the Crown Prince and his American wife Hope Cooke. At their wedding in 1963 she arranged an eightsome reel with the guests, who included JK Galbraith (then President Kennedy’s ambassador in India). In 1965 Chinese troops amassed on the Sikkim-Tibet border, supporting Pakistan in its war with India. The unfazed headmistress invented games to encourage the girls to dig trenches and perform air-raid drills. Following her mother’s death, she resigned as a missionary and returned home in 1966. Four years later she was appointed headmistress of St Leonards School in Fife, where she soon realised the staff were less amenable to change than the Sikkimese. Slowly but surely, she won over both staff and pupils. Thus began a long process of modernisation, which continued for 18 years. She inspired fierce loyalty and could remember not only the names of every girl in her school but also their skills and talents. After a half-term break in 1976 she announced to assembly: “I hope you’ve had a good half term — I have!” waving her left hand in front of them. The applause for her engagement (at the age of 48) was deafening. With her marriage to the architect Robert Steedman, she entered a new, fulfilling phase of her life, becoming integral to the lives of his children from an earlier marriage. She had no children of her own but family was always at the heart of her routine: when negotiating her contract with St Leonards she insisted on a most unusual clause, allowing her to take every Thursday off to visit her elderly father in Edinburgh, something she did without fail until his death in 1982. Upon retirement she was appointed OBE for services to education. Steedman and her husband moved to a house outside St Andrews that looked out over the Fife countryside, but she remained heavily involved in educational, medical and other charitable work. 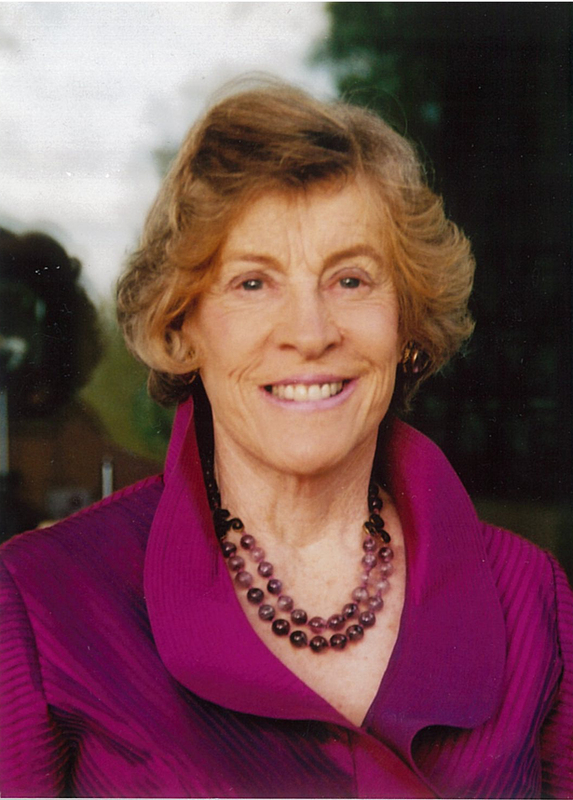 She was the driving force behind the Women’s Centenary Fellowships offered by the University of St Andrews, raising money for scholarships for women from Kyrgyzstan, Turkmenistan, Namibia and Sri Lanka. She was deeply saddened by India’s annexation of Sikkim in 1975, and stayed in close touch with friends in the former kingdom until her death.